The Port Phillip and Western Port region covers around 1.28 million hectares, or 5.5 per cent of Victoria. Most of the land in the region can be described as rural or urban, though the urban-rural fringe is a significant part of the region where catchment management issues are often emphasised. Around 83 per cent of the region is rural including the upper catchment areas, water supply catchments, agricultural areas and green wedges. Much of the region’s natural resource production comes from rural areas, including food, water, timber and minerals. Rural areas also provide habitat for native species, recreational sites, protected natural areas and scenic landscapes. 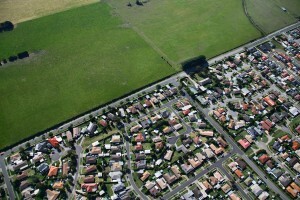 The urban area of Melbourne currently covers around 215,000 hectares or 17 per cent of the region. It contains 3.5million people as well as the infrastructure, open space and natural areas that they need. By 2030, the population is forecast to grow by a further one million people which will naturally see a conversion of some of rural land to urban use in the next 30 years. The rural and urban land in the region includes around 300,000 hectares of public land – a network of eight national parks, six state parks and numerous regional, metropolitan and local parks, conservation reserves and coastal reserves, historic and cultural sites, road reserves and waterways. The parks include the closed catchments that supply Melbourne’s water. Other areas supply timber and other forestry products. Social and environmental benefits of public land and open space include opportunities for recreation, tourism, nature conservation and protection of biodiversity, culture and heritage. A range of legislation and supporting policies apply to the management of land in the region and support integrated catchment management. These include: The Planning and Environment Act 1987, Environment Protection Act 1970, the Catchment and Land Protection Act 1994, the Water Act 1989 and the Coastal Management Act 1995. Finding the balance between human need and environmental sustainability is one of the primary challenges faced by the Port Phillip and Westernport CMA and its partners as the population, and threats to our natural resources, grows.